AAA Pavers, Inc. has been the leading paver installation contractor in Jupiter Island, Jupiter, Tequesta, Palm Beach Gardens, Delray Beach, West Palm Beach, Boca Raton, Ft Lauderdale and neighboring cities. For decades, we have provided countless Florida property owners with awesome paver surfaces and outdoor amenities that are as durable as they are functional and attractive. We have also tackled small installation projects and ambitious ones with the same level of dedication and expertise that have become our source of pride. Contact us today and we promise to turn your dream outdoors into reality with the exceptional paver features that we can create for you. Call 561-284-9834 or 561-441-8028. When you tap our help for your planned paving project, you will benefit from our long-standing partnerships with trusted manufacturers since you will be assured of only the finest quality pavers. We know from our lengthy experience and observation that contractors who use cheap materials just to earn more always end up disappointing their clients. This is why we always use only sturdy pavers with the aesthetic qualities that perfectly match what our clients and customers are expecting. 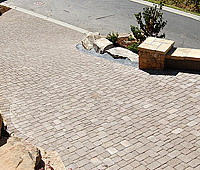 We are also among the very few paver installation companies that offer extremely affordable rates. This is our way of reaching out to the most number of property owners to help them enjoy the great benefits of having professionally built paver amenities in their properties. Lastly, we are fully licensed to perform all paver installation tasks. This is your ultimate assurance that only people with adequate knowledge and exceptional skills will work on your property and install the features that you will enjoy and benefit from for decades to come. We are, possibly, the paver installation company in Florida East Coast cities with the best paver installers working on such projects at any given time. Our installers are all trained, certified, and experienced in handling simple to complex paving tasks. They use appropriate tools and equipment and follow a meticulous and systematic installation approach. 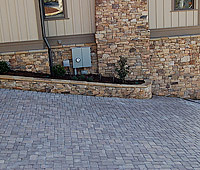 So whatever paver feature you want them to install, you can look forward to get only the results that you need. We provide clients like you the freedom to choose the paver design and themes that we will adopt for your outdoors. For example, we can create for you classic, time-hewn appeal or Old World charm with slate or limestone. We can also achieve a modern look with granite and marble. We also recommend specific paver types for particular areas, such as concrete pavers for driveways and parking lots, natural stone pavers for garden paths and walkways, or permeable pavers for pool areas. The paver designs and themes that we offer are comprehensive and ultimately guarantee total client satisfaction in terms of their aesthetic merits. 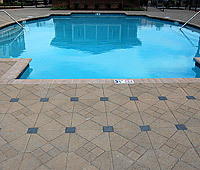 AAA Pavers, Inc. is considered among Florida’s most reputable and finest paver installation contractor. With a portfolio that comprises some of the state’s most stunning and lasting paver amenities, we are easily your best pick.